Rent or buy Avatar here. When the filmmaker behind the highest-grossing film of all-time takes twelve years off to develop his next film, the bar is set pretty high. Titanic’s Jim Cameron set out to revolutionize movies with immersive 3-D technology which promised to be unlike anything audiences had ever seen. 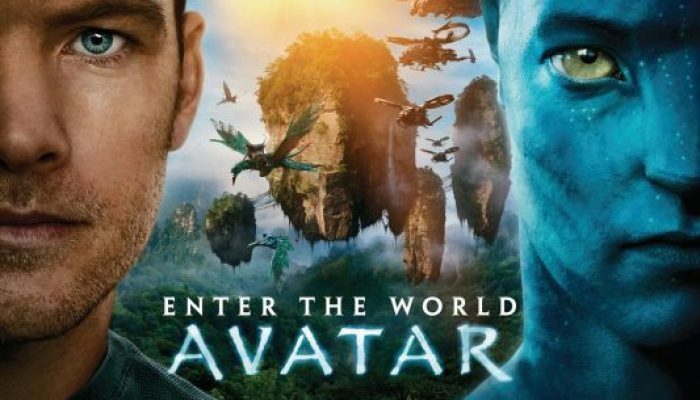 Since its release, Avatar has drawn enormous crowds; word-of-mouth and repeat viewings have lead, within a mere twenty days, to its claiming the title of 2nd-highest grossing film of all time worldwide. 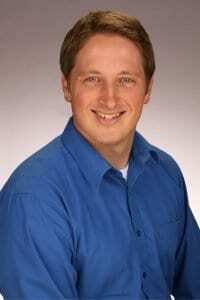 Some conservative groups have blasted what they believe is the film’s environmental extremism, with the Vatican’s film critic saying that it worships creation instead of the Creator. Others have blasted it for perceived racism, with the “white savior” rescuing indigenous peoples. Some have said that the film is anti-military. Most claim, however, that it is simply great entertainment. In my opinion, the truth of all these claims is somewhere in the middle. Regular readers may notice that I almost never divulge any plot information in my reviews. I don’t like to read reviews that give away large chunks of narrative; I’ve never felt it was the critic’s job to tell me the story, and I’ll pay you the same courtesy. I will say, first and foremost, that the film is neither the political lightning rod some have made it out to be, nor is it worthy of the hype and box-office its receiving (I can think of many movies that deserve a wider audience). It is, however, constantly entertaining and artistically stunning. Everything you’ve heard about the visuals is true. This is not CGI (computer-generated images) for just for the sake of it, nor is the 3D merely a gimmick. Cameron has succeeded in created a completely immersive new world. These are not special effects; this is art. The 3D serves to truly make viewers feel as if they were on a glorious foreign planet, with its own ecosystem and amazing wildlife. Likewise, Cameron knows how to stage action, and the adventure/combat sequences are truly thrilling. The narrative is fine, but not as impressive. The derivative script borrows heavily from Dances With Wolves, Disney’s Pocahontas, The Last Samurai, Ferngully: The Last Rainforest, and even Return of the Jedi. Though the heroes are interesting enough, the villains are mostly one-dimensional. Sam Worthington and Sigourney Weaver do fine work, as do several others, but the only truly exceptional acting is by Zoe Saldana (Star Trek) who plays the princess of an alien tribe. Her work, via motion capture, conveys rich, tender, and savage emotion. So skillfully does she portray both the humanity and the strangeness of an imaginary race that the audience connects with her more than any of the human characters. She, and the rest of the alien tribe, are utterly convincing. As for the controversy, the film does take a strong stance about protecting and conserving the environment. The claim by the Vatican’s movie critic, that the film worships creation instead of the Creator, could be valid if it weren’t so obviously fantasy. Its theology works in its imagined universe the same as The Force does in Star Wars. I take a more moderate stance than the film does on conservation, as it paints those who mine natural resources as greedy at best and evil at worst. That said, any message about honoring and preserving nature is worthwhile. Also, On a different level, the story can be enjoyed by those who see it as a tale of a group nobly defending their homes, wives, children, and beliefs from those who seek only to conquer. The claims of racism are, I think, unfounded. Like The Last Samurai, Pocahontas, and Dances With Wolves, Avatar takes a narrow-minded white man, immerses him in a foreign environment, and allows him a change of heart as he comes to appreciate the culture and way of life of his enemy. Unoriginal maybe, but hardly racist. Because the story and characters are only moderately engaging, Avatar fails to live up to the hype. However, as an action film and a soulful artistic achievement, it is a terrific work that ought not to be missed. If Avatar whet your appetite for interplanetary sci-fi action, take a look at Stargate! Rent or buy it here.